Today CNN reported that Murphy R. McMillin, Mayor of racially embattled Jena, Louisiana, has taken issue to John Mellencamp's new song and video, where the line "Jena, Take Your Nooses Down" is featured. The Mayor states that, "...the Mellencamp video is so inflammatory, so defamatory, that a line has been crossed and enough is enough." Mayor McMillin, you are exactly right. Enough is enough! Racial injustice, silent "Jim Crow" practices, and general inequality in this 21st century is quite enough. African-Americans in cities small and large throughout the U.S. have put up with racist acts such as those committed in Jena, silently. We are silent no more. I hope that the images of John Mellancamp’s video and the lyrics of his song enlighten those who see this issue as fleeting or merely media spectacle. 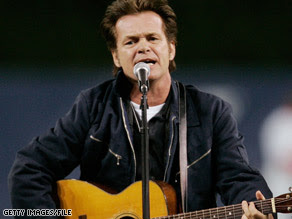 Thank you Mr. Mellencamp for being brave enough to take a stand, despite what Mayor McMillin thinks. Understand that I do not condone the violent retaliatory acts of the Jena 6, but we all know that the intended punishments in these cases are exceeding the crime. I hope that the pending cases open all Americans eyes to the fact that Civil Rights is a continuing issue that deserves national attention and focus.